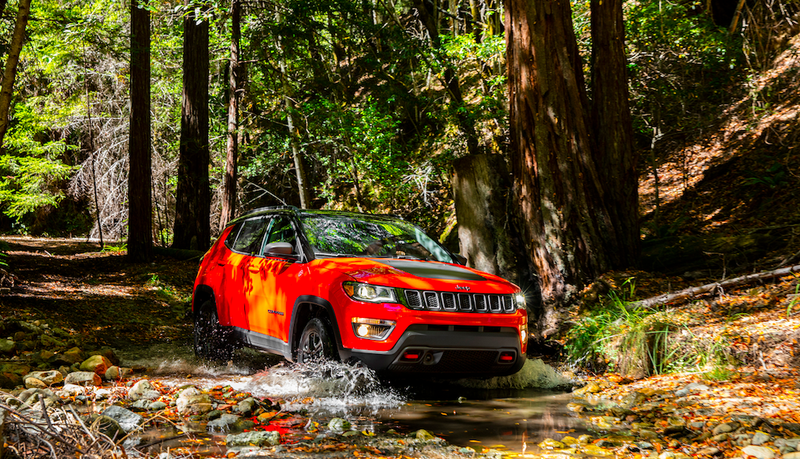 What Do You Want To Know About The 2017 Jeep Compass? We’ve been drooling over the second generation 2017 Jeep Compass ever since we first set our eyes on some spy shots last fall. But today, Fiat Chrysler flew me to San Antonio, Texas to drive (on and off-road) the little crossover. While I’m here, tell me what you’ve been aching to know about Jeep’s newest compact crossover, and I’ll make it my mission to get you the answers you deserve. The new Compass is a small-medium crossover Jeep slotting above the Renegade, powered solely by a 2.4-liter inline four that puts out 180 horsepower and 175 pound-feet of torque. Front- or four-wheel drive versions are available. What I want to know is: Will it just be a slightly larger Renegade, and how will it do off-road? I’m especially interested in the latter question, since the Trailhawk has 8.5 inches of ground clearance, a 30.3 degree approach angle, a 24.4 degree breakover angle, and 33.6 degrees of departure angle. Those are impressive numbers, but there’s no true low range, and of course, articulation will be limited by fully independent suspension. So we’ll see how it does on whatever course Jeep sets up for this media drive. But enough about my curiosities, I want to hear yours. What do you want to learn about the 2017 Compass? I mean, it has to be better than last time, right?